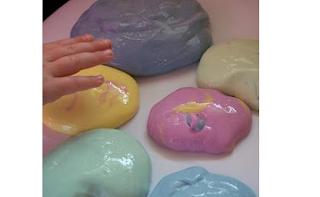 Have you ever made Flubber? It was originally created in The Absent-Minded Professor (1961) and Flubber (1997) - the professor creates a green slime that proves to be difficult to control and wreaks havoc on the neighborhood. He discovers that as it bounces, Flubber increases in speed rather than decreasing. I wonder if this Flubber reacts the same way? I guess the only way to find out is to make it and test it out! Check out the movie Flubber on Amazon! Have you seen those pictures within a picture that seem to be popping up everywhere? Here's a wonderful idea for the last day of school! 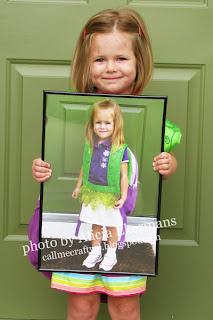 Check out Amazon for more school photo ideas! This is one of those Why didn't I think of that? moments! 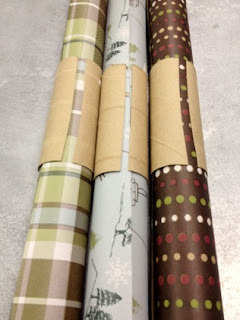 Check Amazon for more wrapping paper storage ideas! Natural Bug Spray - have you ever thought to make your own? All you need is lemongrass essential oil, eucalyptus essential oil, and citronella essential oil. - safe for kids, smells wonderful! Check Amazon for more natural bug sprays! Do you have a problem with ants? All you need is sugar, boric acid, and water! 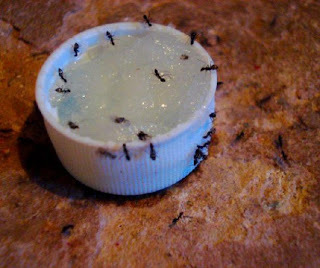 The ants are always after my dogs' food - so I should try this!